C.C.A. 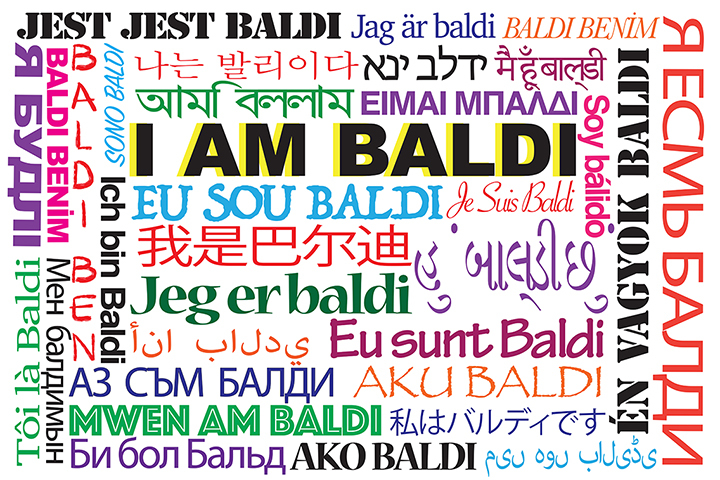 Baldi is a wonderfully diverse school located in the Bustleton community of Northeast Philadelphia. We are focused on providing high-quality instructional programs that meet the needs of our changing community. C.C.A. Baldi Middle School serves over 1500 students from Northeast Philadelphia in the grades 6-8. Our mission is to provide our students with a middle school experience that sets them up for high school options and prepares them for the demands of the 21st century. Our school is committed to the growth of both our students and teachers as we constantly work to improve student outcomes. We are seeking candidates who are committed to public education in a diverse school, serving students with diverse needs. We are seeking educators that embody our school mission, vision, and values. * If you are interested, please submit your resume and contact Assistant Principal, Daniel Mina at Dmina@philasd.org or call and leave a message for Mr. Mina at 215-400-3090. Through a rigorous and integrated program of academics, world culture, and enrichment, C.C.A. Baldi Middle School challenges all students to discover their unique academic abilities and passions by empowering students with the skills and character for success in high school and beyond. Students are enriched by working in diverse classroom communities and are called to become lifelong learners who develop their individual talents to better themselves, others and their community. With a commitment to intellectual excellence, leadership, community, and challenging oneself, we strive to develop young people who always try their best, find joy in learning, stand up for ideals, and respond to the opportunities and challenges of our time. ➢ INSTRUCTION: Creating a culture of teaching and learning amongst students and staff, driven by student achievement, and focused on the continuous improvement of ourselves and our instruction. ➢ CLIMATE AND CULTURE: Building a consistent climate and culture for our students and staff through celebrating and promoting our school-wide values. ➢ ACCELERATION: Responding to the diverse academic needs of our students by using data and accelerated learning tracks to challenge and monitor student growth, specifically with our lowest performing 20% of students. ➢ COMMUNITY: Understanding individuals and the identities, experiences, values, and beliefs we possess, to continually grow our empathy and value for one another, students and staff, as unique people and partners. Welcome NEW 6th Graders! Here's What You Need for the Start of the New School Year! Included in this handbook is the important information that you will need to know as a Baldi parent and student. At Baldi, we have a six-day schedule. Each day is a new day and means students have a new special class like gym or art and science or social studies. This quick link will take you to the code of conduct we follow at Baldi.